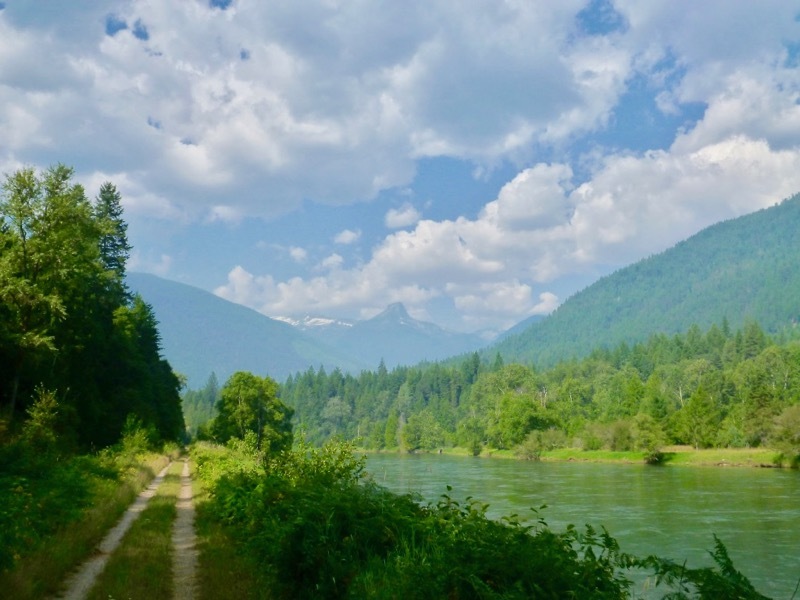 One of the most spectacular rail trails in Canada is tucked away in BC’s West Kootenays. It might just be the most scenic cycling route you’ve never heard of, combining amazing mountain scenery with some of the tastiest fresh food in BC. 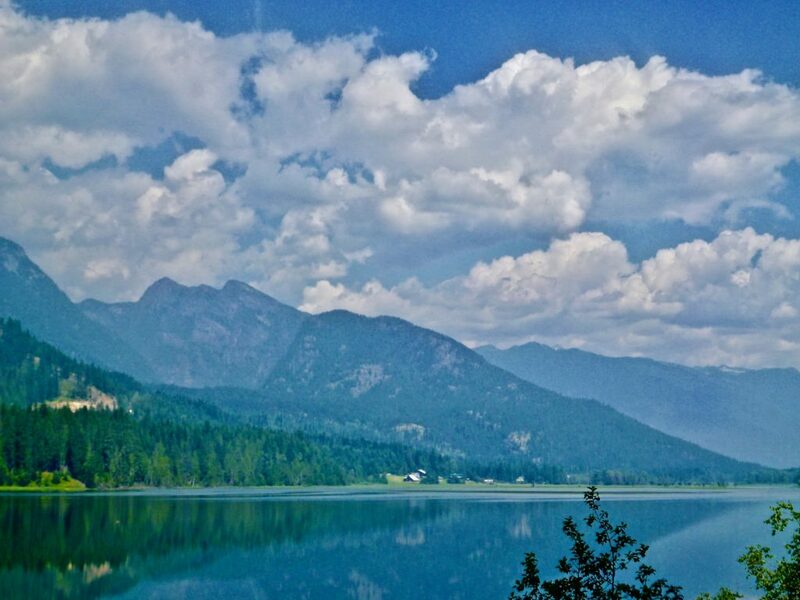 Located just west of Nelson, the Slocan Valley Rail Trail parallels the Slocan River along 50km of beautiful countryside. It offers views of glacier-capped peaks, lush forests, and the winding river. You’ll also notice pastoral farmlands, a reminder of why the Slocan Valley is famed for it’s locally produced food. Wild raspberries are also plentiful near the south end of the trail. The entirely non-motorized trail means that you can enjoy the peaceful sights and sounds of nature as you cycle along the quiet packed dirt pathway. Numerous benches, picnic tables, interpretive signs and rest areas provide ample opportunity for stops along the way. The level trail means there are no hills to climb either. Part of the beauty of the trail is that it’s close enough to the road to allow access to all sorts of amenities. Bakeries, coffee shops, organic grocery stores and artisans dot the communities en route. The small village of Winlaw is approximately halfway along the trail, and an ideal spot to grab a snack or bite of lunch. Sleep is for Sissies and Mama Sita’s Café both offer tasty sit-down meals, while Fomi’s Bakery just a little further north serves up freshly baked treats and pizzas. Save some room for the yummy flavours at Flaca’s Bakery at the end of the trail in Slocan. 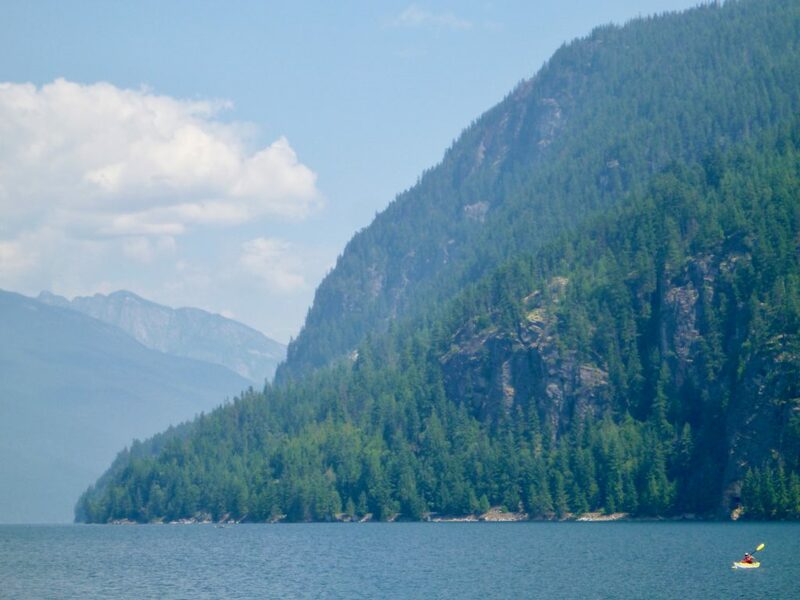 The expansive public beach on the south end of Slocan Lake also makes for an unbeatable swimming location. Insider tip – the water is often warmer here than at Nelson’s popular Lakeside Park! 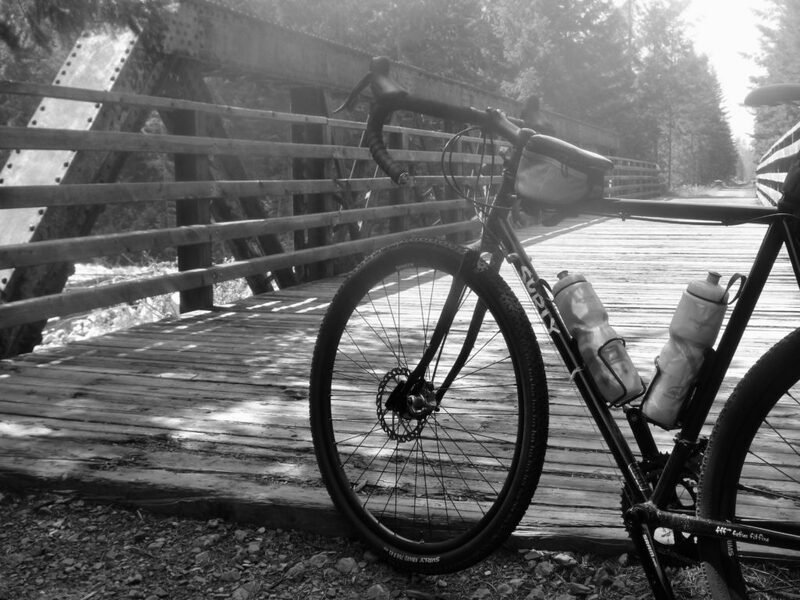 Kootenay Cycling Adventures is pleased to offer self-guided day trips of the Slocan Valley Rail Trail. We’ll pick you up from Nelson at 8:30am and drop you off at the Crescent Valley Trailhead by 9am. Pick up is in Slocan at 2pm, giving you 5 hours to cycle the trail, take photos and indulge in the healthy fare of the Slocan Valley. Trips are available on Thursdays, Fridays and Saturdays. Price is $125 per person plus GST and includes bike rental, helmet, map and transportation to and from trailheads and to Nelson. Tours can be booked online or by calling 250-354-8550. What percentage of the money you charge for these tours do you donate to the railtrail? Thank you for your question Scott. At present we make contributions towards planting trees, but look forward to contributing to the Rail Trail in the future.